What’s Happening Now? Join me on Facebook and Twitter to find out! American Borders was born as a series of realtime, online dispatches published on the Internet in 1995 from a motorcycle trip test riding the Ural Russian sidecar motorcycle. You can read these dispatches in their original form. 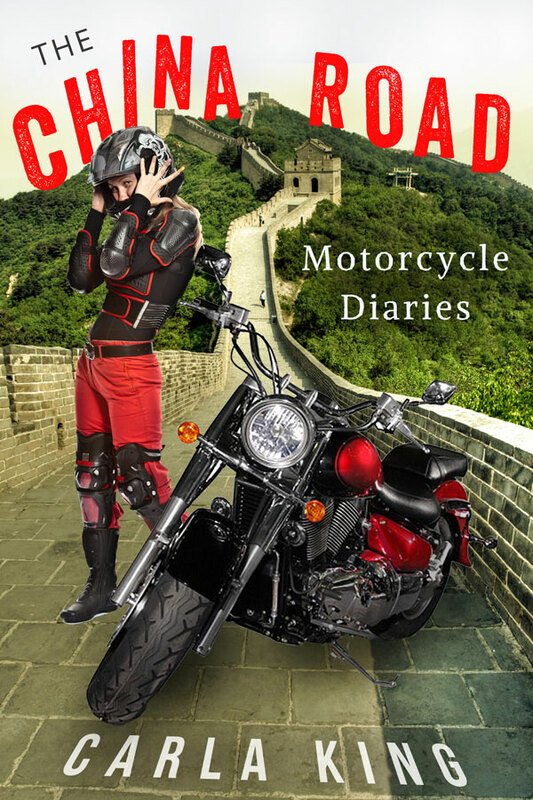 The diaries chronicle my R&D test ride of the motorcycle on behalf of the American importers. Now a book of the same name. Buy a copy from the usual resellers, or order an autographed copy. In 1998 I rode a 1995 Chang Jiang and in 2007 on a 2004 Chang Jiang outfitted with a BMW engine, through Northern China on the Chinese cousin of the Russian Ural. The Chang Jiang belonged to Jim Bryant, owner of Jimbo’s Classic Sidecars in Beijing, now located in Nevada. The 1998 trip had a lot more breakdowns than my American Borders journey, but by then I was pretty familiar with tearing apart and putting together the boxer twin engine. About 10 years later I went back to ride another one of Jim’s bikes, this one with a BMW engine, around Northern China with friends Teresa and Diny. Here are the dispatches. And here is a story in Adventure Motorcycle Magazine. Riding through Southern India to each one of the temples dedicated to one of the elements: fire, water, air, ether, earth. I loved this bike so much that I bought one when I got back to the states, but it was not as reliable as my Indian steed. Go to the dispatches. May and June 2009: On a 2004 Ural gearup sidecar motorcycle. From the European Alps to Morocco’s Atlas Mountains. It sure was fun playing in the snow and in the sand, but not in that electrical storm! I met my Wild Writing Women group in Marrakesh, for a luxurious week at a kasbah, but the rest of the time roughed it solo. Read the blog entries. 1998: On a 1998 Moto Guzzi California 1100 EV. Starting in Mandello del Lario, the home of Moto Guzzi, and riding to the southernmost tip of Italy (The Boot) plus the islands of Sardinia and Sicily. I recently bought a 2002 Moto Guzzi Stone, based on the California. I love the rumbly cruiser, the loping 90-degree “inverted” V-twin really has personality. The Wild Writing Women luxuriated in a castle in Tuscany for a week. Otherwise I camped, mostly on beaches. Read the dispatches. A circumnavigation of the Adriatic Sea: Italy, Greece, Albania, Herzegovina, Croatia. Again, I met the Wild Writing Women, this time in Greece. The Breva was a great ride, a versatile, light, sport touring bike that, maybe with some more dirt-friendly tires, could be turned into an “adventure” bike. Hmmmm… gives me an idea for a project! Sadly, they discontinued the model a few years ago, but you can still find them around. Read the dispatches. A week-long dual-sport motorcycle adventure begins at 8,000 feet. I rode with Sam Correro, Mississippi-based creator of the TransAmerica Trail map and rollchart system, along with Chris and Spice from Georgia, to 12,000 feet and sweeping views of the famously scenic Chaffee County area of Colorado. It was a beautiful few days with Sam, who I admire greatly for his success in creating these off-road experiences of America East to West and South to North. Read the dispatches.